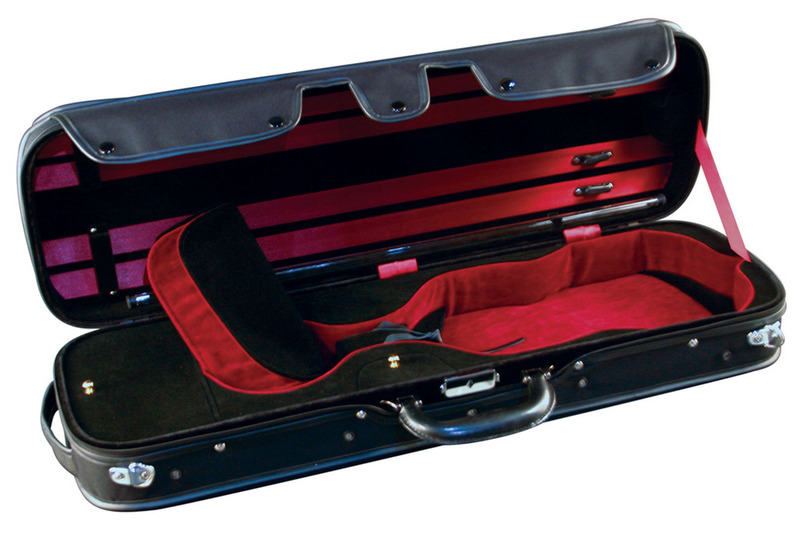 Tempo violin cases are oblong, fully suspended with shaped interior, 2 full accessory compartments and a rosin holder. Interiors include a matching blanket and 4 bow holders. The Cordura exterior has a full music pocket, shoulder strap and an end handle.